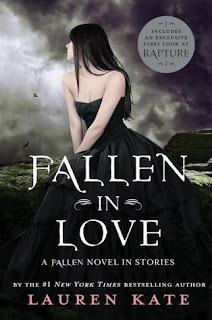 I do so adore the Fallen series by Lauren Kate so I was thrilled to hear of this collection of short stories, Fallen In Love, is being published during the long wait for Rapture and just in time for Valentine's Day! Daniel and Luce's love transcends time and lifetimes, as they have lived countless times and fallen in love in each life - all to end tragically. I'll admit, I wasn't completely sold on the romance between Daniel and Luce from the first book, Fallen. It took me reading the other books in the series - Torment, in which Luce really questions her feelings and relationship with Daniel, and also Passion, in which Luce takes things into her own hands by jumping into the announcers in order to explore her past lives lived loving Daniel - for me to see and believe that this love is real and true. I believe it now and I'm so behind their relationship! I'm absolutely hooked on this series now, I find it incredibly beautiful. And what Fallen In Love does is that it gives us as readers and as fans a tiny glimpse back into the world of Fallen, and into the hearts of some of our favourite characters. And I thought these stories were sweet, sad, heartbreaking and romantic. It was a wonderful stop-gap before Rapture! Plus, it was quite fun, set in a medieval England setting on Valentine's Day before it had become the holiday that it is today. The first of these four connected short stories concerns Miles and Shelby. After reading Passion, I did at first feel a little bit bad about Miles and how he obviously doesn't stand much of a chance with Luce now that she's knows the full extent of Daniel's and her history. But never fear, he looks set to begin a rather adorable new relationship. What I loved the most about this story was the thoughtfulness of the Valentine's Day gifts. 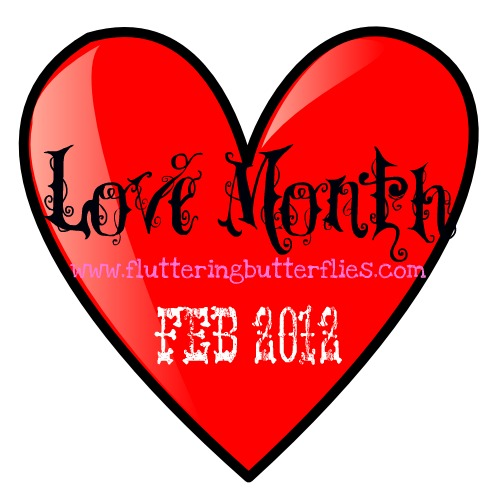 Take note lovers! Something personal and meaningful is always going to make for a better result on Valentine's Day. This is quickly followed by two rather sad stories regarding Roland and Arriane. Roland and Arriane are both characters that I'd never really sat up and took notice of. That is, not until now. Oh, Lauren Kate. You break my heart in so many ways. These two stories deal with lost love and thinking of someone else's happiness over your own and about sacrifice and heartbreak. Roland's story made my eyes well up a bit but Arriane's really had me crying. Both were quite beautiful stories of broken love. But I think most people's main reason for picking up Fallen In Love will be for the Daniel and Luce story at the end. It is the only Valentine's Day in all of their long history that they've ever shared. And it is just as sweet and romantic as you'd imagine it to be. This book is perfect for Fallen fans and die-hard romantics! I am still a book behind in this series... Eeep! Oooh! MICHELLE! You might just be the bestest person ever! I completely fogot I had this book! And I've been wanting some lovely romance recently! I will be picking this up shortly! Thank you for the reminder! Glad for the reminder! I really enjoyed the mix of emotions for this one, and especially getting into the heads of the angels. Yes, I wouldn't recommend jumping ahead! But I actually really loved Torment and Passion more than Fallen, so you should fly right through those two!